The professional content of sleep medicine has grown significantly over the past few decades, warranting the recognition of sleep medicine as an independent specialty. Because the practice of sleep medicine has expanded in Saudi Arabia over the past few years, a national regulation system to license and ascertain the competence of sleep medicine physicians and technologists has become essential. Recently, the Saudi Commission for Health Specialties formed the National Committee for the Accreditation of Sleep Medicine Practice and developed national accreditation criteria. 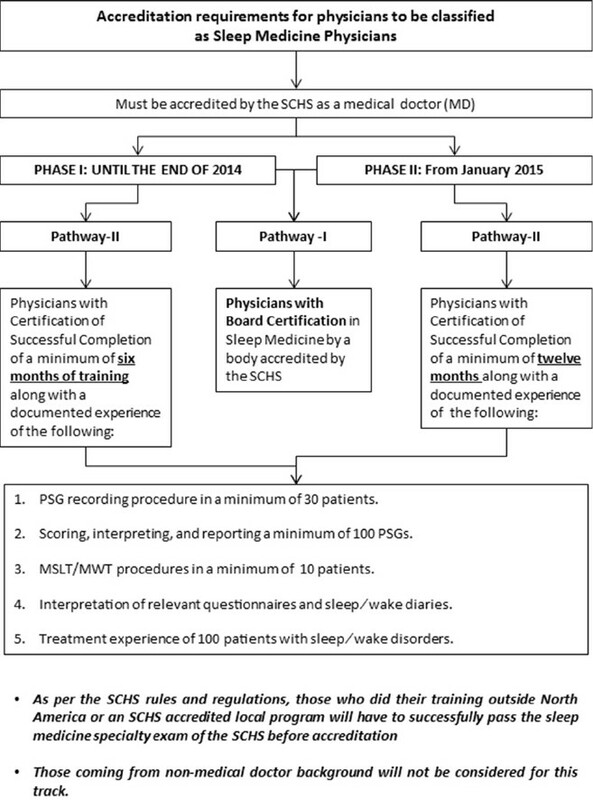 This paper presents the newly approved Saudi accreditation criteria for sleep medicine physicians and technologists. A survey of pulmonologists attending a clinical meeting of the Saudi Thoracic Society found that only 55% of responders considered that inhaled corticosteroids (ICS) had a positive effect on quality of life in Chronic Obstructive Pulmonary Disease (COPD). Why the divergence of opinion when all the guidelines have concluded that ICS improve quality of life and produce significant bronchodilation? ICS unequivocally reduce the rate of exacerbations by a modest 20%, but this does not extend to serious exacerbations requiring hospitalization. Bronchodilatation with ICS is now documented to be restricted to some phenotypes of COPD. Withdrawal of ICS trials reported a modest decline of FEV 1 (<5%) in half the studies and no decline in the other half. In spite of the guidelines statements, there is no concurrence on whether ICS improve the quality of life and there is no conclusive evidence that the combination of long-acting ß2 agonists (LABA) with ICS is superior to LABA alone in that regard. The explanation for these inconclusive results may be related to the fact that COPD consists of three different phenotypes with divergent responses to LABA and ICS. Therapy tailored to phenotype is the future for COPD. Aims: Endobronchial ultrasound-guided transbronchial needle aspiration (EBUS-TBNA) has shown excellent diagnostic capabilities for mediastinal and hilar lymphadenopathy. However, its value in thoracic non-lymph node lesions is less clear. This study was designed to assess the value of EBUS-TBNA in distinguishing malignant from benign thoracic non-lymph node lesions. Methods: From October 2009 to August 2011, 552 patients underwent EBUS-TBNA under local anesthesia and with conscious sedation. 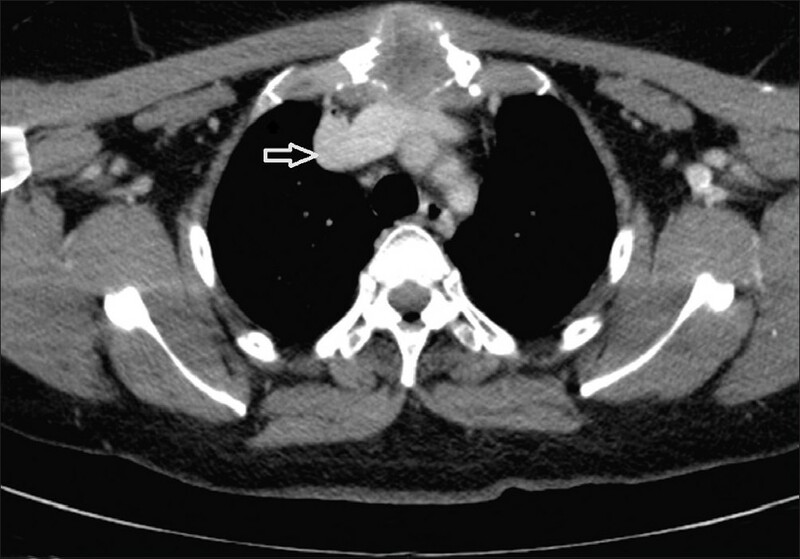 We retrospectively reviewed 81 of these patients who had tracheobronchial wall-adjacent intrapulmonary or isolated mediastinal non-lymph node lesions. On-site cytological evaluation was not used. Immunohistochemistry (IHC) was performed to distinguish the origin or type of malignancy when necessary. Results: EBUS-TBNA was performed in 68 tracheobronchial wall-adjacent intrapulmonary and 13 isolated mediastinal non-lymph node lesions. Of the 81 patients, 77 (95.1%, 60 malignancies and 17 benignancies) were diagnosed through EBUS-TBNA, including 57 primary lung cancers, 2 mediastinal tumors, 1 pulmonary metastatic adenocarcinoma, 7 inflammation, 5 tuberculosis, 3 mediastinal cysts, 1 esophageal schwannoma, and 1 focal fibrosis. There were four false-negative cases (4.9%). Of the 60 malignancies, there were 9 (15.0%) which originally had no definite histologic origin or type. Thus, IHC was performed, with 7 (77.8%) being subsequently confirmed. Sensitivity, specificity, positive predictive value, negative predictive value, and accuracy of EBUS-TBNA in distinguishing malignant from benign lesions were 93.4% (60/64), 100% (17/17), 100% (60/60), 81.0% (17/21), and 95.1% (77/81), respectively. Conclusion: EBUS-TBNA is a safe procedure with a high sensitivity for distinguishing malignant from benign thoracic non-lymph node lesions within the reach of EBUS-TBNA, with IHC usually providing a more definitive diagnosis. Background And Objective: Physicians may experience periods of acute sleep deprivation while on-call, in addition to baseline chronic sleep deprivation which may affect physicians' performance and patients' safety. The purpose of this study was to determine the effect of acute sleep deprivation due to working long on-call shifts on mood and alertness, both of which may impair physicians' performance. Methods: Eighty-eight junior physicians working in one university hospital completed a questionnaire, before and after completion of a shift, that collected data regarding socio-demographic factors, patterns of work and sleep, Profile of Mood States (POMS), and Stanford Sleepiness Scale. 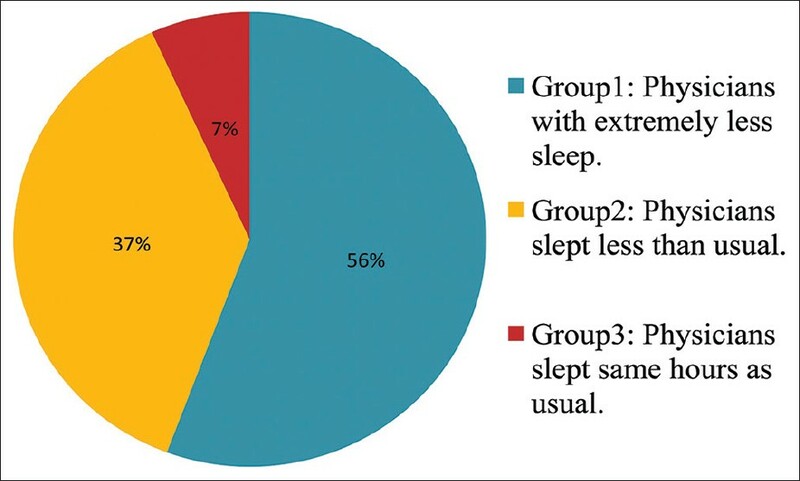 Based on duration of sleep the physicians had during on-call in comparison to their usual average sleep, the participants were categorized into group 1 (those who slept many fewer hours), group 2 (those who slept fewer hours), or group 3 (those who slept the same number of hours). Results: More than 87% of the participant slept 5 or fewer hours while working an on-call shift. Among all participants, the percentage of physicians who were alert post-on-call was significantly reduced compared to the percentage pre-on-call (P = 0.001). The post-on-call total POMS scores of groups 1 and 2 were significantly worse than their pre-on-call scores (P = 0.001 and 0.038, respectively), while there was no significant difference between the pre- and post-on-call POMS scores of group 3 (P = 0.165). Conclusion: Acute sleep loss due to working long on-call shifts significantly decreases daytime alertness and negatively affects the mood state of junior physicians. Background: Electromagnetic navigation bronchoscopy (EMN) is a novel technology which allows localizing peripheral lung lesions and mediastinal lymph nodes for sampling and thus increasing diagnostic yield of Flexible Bronchoscopy. Objectives: A prospective study was conducted to investigate the diagnostic yield of EMN with lower average fiducial target registration error (AFTRE) and rapid on-site evaluation (ROSE). 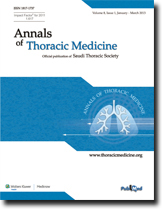 Methods: Consecutive patients with peripheral lung lesion (PL) or enlarged mediastinal lymph node (MLN) which could not be diagnosed by conventional techniques and/or if the patients were not suitable for such interventions were included. The navigation procedure was continued once registration error was reached below/equal to the absolute value of 5 mm. ROSE was performed by an expert cytopathologist. Results: A total of 76 patients; 22 having only PLs, 41 having only MLNs, and 13 having both PLs and MLNs together were enrolled. Thirty-two of 35 PLs (91.4%) and 85 of 102 MLNs (83.3%) were successfully sampled. Overall diagnostic yield was 89.5%. PLs and MLNs were further grouped according to their size (PLs: <20 mm vs ≥20 mm, MLNs: <15 mm vs ≥15 mm). The sampling yield was independent of size for both PL and MLN (P = 1.00, P = 0.38). In diagnostic EMN cases, mean AFTRE was 4.33 ± 0.71 mm, whereas it was 5.16 ± 0.05 mm (P = 0.008) in nondiagnostics. The total duration of procedure was 36.17 ± 9.13 min. 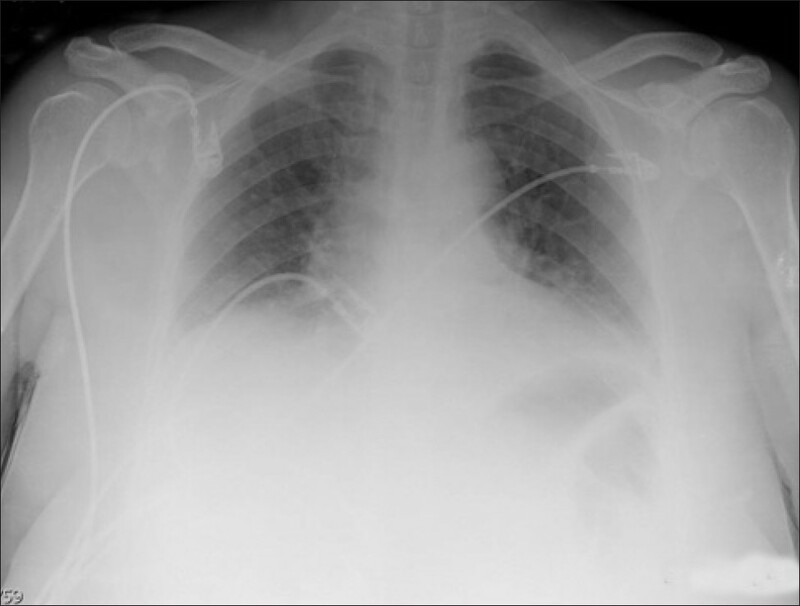 Pneumothorax was observed in three patients (3.9%). Conclusion: EMN with low AFTRE in combination with ROSE is a reliable method with high sampling and/or diagnostic rate in PLs and MLNs. Background: There are relatively few epidemiological studies on interstitial lung disease (ILD) worldwide. Objective: To report the incident cases of ILD and compare our data with reports from other populations. Methods: Newly diagnosed ILDs were prospectively collected at a single tertiary care hospital from January 2008 to December 2011. 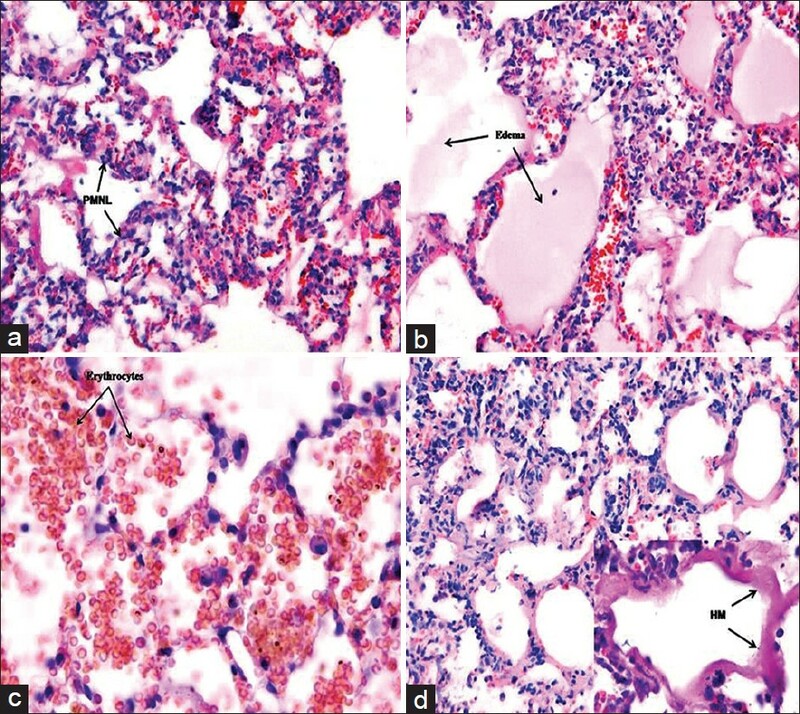 Detailed demographic and clinical data were collected at the time of diagnosis, along with the results from diagnostic procedures, including high-resolution computed tomography (HRCT), serological tests, bronchoalveolar lavage (BAL), transbronchial lung biopsy, endobronchial ultrasound-guided transbronchial needle aspiration (EBUS-TBNA) and surgical lung biopsy. Results: A total of 330 cases were included. The mean age was 55.4 ± 14.9 years. There was a slight predominance of females (202; 61.2%), and the male-to-female ratio was 1:1.37. The most frequent disease was connective tissue disease (CTD)-associated ILD (34.8%), followed by idiopathic pulmonary fibrosis (IPF) (23.3%), sarcoidosis (20%), and hypersensitivity pneumonitis (6.3%). Non-classifiable ILD was present in 1.8% of the total ILD cases. HRCT was performed in 97.3% of the cases, BAL in 17.5%, transbronchial lung biopsy in 21.8%, EBUS-TBNA in 4.5%, and surgical lung biopsy in 22.7% (38.6% of which were performed among the idiopathic interstitial pneumonia cases). Conclusions: CTD-ILD and IPF were the most frequently observed ILDs in this Saudi Arabian population. Similarities and differences were found with respect to the previous reports from other countries. Context: Idiopathic pulmonary fibrosis (IPF) and chronic hypersensitivity pneumonitis (HP) are diffuse parenchymal lung diseases characterized by a mixture of inflammation and fibrosis, leading to lung destruction and finally death. AIMS: The aim of this study was to compare different pathophysiological mechanisms, such as angiogenesis, coagulation, fibrosis, tissue repair, inflammation, epithelial damage, oxidative stress, and matrix remodeling, in both disorders using bronchoalveolar lavage (BAL). Methods: At diagnosis, patients underwent bronchoscopy with BAL and were divided into three groups: Control ( n = 10), HP ( n = 11), and IPF ( n = 11), based on multidisciplinary approach (clinical examination, radiology, and histology): Multiplex searchlight technology was used to analyze 25 proteins representative for different pathophysiological processes: Eotaxin, basic fibroblast growth factor (FGFb), fibronectin, hepatocyte growth factor (HGF), interleukine (IL)-8, IL-12p40, IL-17, IL-23, monocyte chemotactic protein (MCP-1), macrophage-derived chemokine (MDC), myeloperoxidase (MPO), matrix metalloproteinase (MMP)-8, MMP-9, active plasminogen activating inhibitor 1 (PAI-1), pulmonary activation regulated chemokine (PARC), placental growth factor (PlGF), protein-C, receptor for advanced glycation end products (RAGE), regulated on activation normal T cells expressed and secreted (RANTES), surfactant protein-C (SP-C), transforming growth factor-β1 (TGF-β1), tissue inhibitor of metalloproteinase-1 (TIMP-1), tissue factor, thymic stromal lymphopoietin (TSLP), and vascular endothelial growth factor (VEGF). Results: All patients suffered from decreased pulmonary function and abnormal BAL cell differential compared with control. Protein levels were increased in both IPF and HP for MMP-8 ( P = 0.022), MMP-9 ( P = 0.0020), MCP-1 ( P = 0.0006), MDC ( P = 0.0048), IL-8 ( P = 0.013), MPO ( P = 0.019), and protein-C ( P = 0.0087), whereas VEGF was decreased ( P = 0.0003) compared with control. 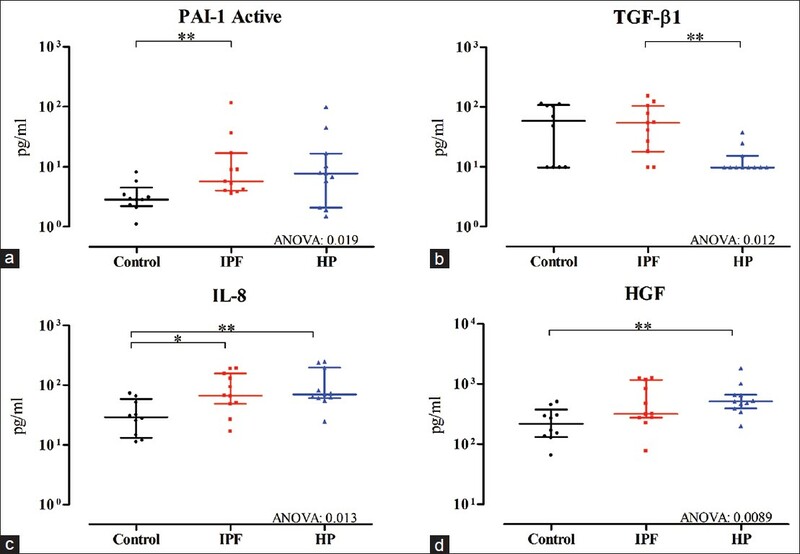 HGF was upregulated in HP ( P = 0.0089) and active PAI-1 was upregulated ( P = 0.019) in IPF compared with control. Differences in expression between IPF and HP were observed for IL-12p40 ( P = 0.0093) and TGF-β1 ( P = 0.0045). Conclusions: Using BAL, we demonstrated not only expected similarities but also important differences in both disorders, many related to the innate immunity. These findings provide new clues for further research in both disorders. Introduction: The management of acute respiratory distress syndrome (ARDS) was investigated with the use of heliox in an experimental model. Objectives: To investigate whether heliox can be considered a new therapeutic approach in ARDS. Methods: ARDS was designed in Wistar albino male rats, 250-300 g in weight, by intratracheal instillation of physiological saline solution. 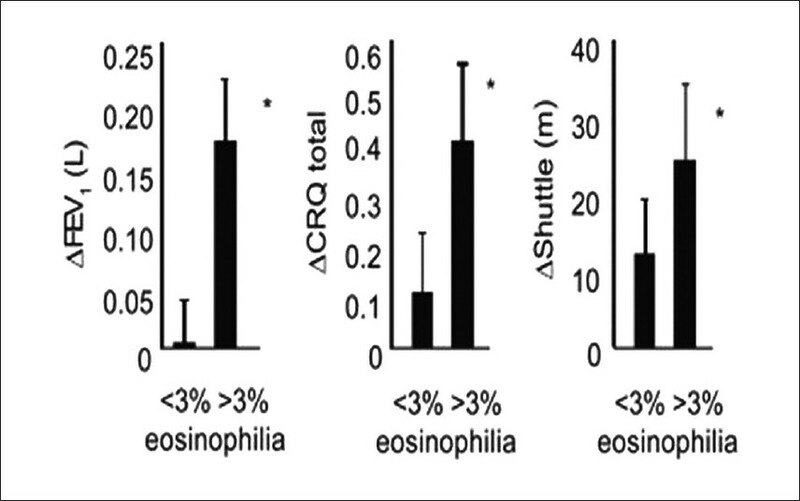 Anesthezied and tracheotomized rats with ARDS were pressure-controlled ventilated. At the end of 210 min, helium gas was tried. All rats were assigned to two groups: Group 1 ( n = 10) was the control group, and was given no treatment; group 2 ( n = 7) was given heliox (He: O 2 = 50:50). The heliox group received heliox for 1 h continously. Rats were continued to be kept on a ventilator through the experiment. Two hours after the last inhalation, both lungs of the rats were excised for both histopathological examination and immunohistochemical evaluation. Statistical Analysis Used: Histopathological grading were expressed as median interquartile range. Mann-Whitney U-test was used to assess the relationships between the variables. Results: The infiltation of neutrophils were decreased in rats treated with heliox. Edema in the interstitial and intraalveolar areas was less than that of the control rats. Also, the diminishing of perivascular and/or intraalveolar hemorrhage was apperant. Hyaline membrane (HM) formation decreased in the heliox group compared with the control group. Decreased inducible nitric oxide synthase expression was shown via immunohistochemical examination in the heliox group. Conclusion: The present study histopathologically indicated the effectiveness of heliox in the decreasing of neutrophil infiltation, interstitial/intraalveolar edema, perivascular and/or intraalveolar hemorrhage and HM formation in ARDS. Besides the known effect of heliox in obstructive lung disease, inhaled heliox therapy could be associated with the improvement of inflamation in ARDS. Objectives: We aimed to evaluate the validity of the BodyMedia's SenseWear ™ Armband (BSA) device in estimating total sleep time (TST) in patients with obstructive sleep apnea (OSA). Methods: Simultaneous overnight recordings of in-laboratory polysomnography (PSG) and BSA were performed on (1) 107 OSA patients (mean age of 45.2 ± 14.3 years, mean apnea hypopnea index of 43 ± 35.7/hr and (2) 30 controls matched with OSA patients for age and body mass index. An agreement analysis between the PSG and BSA scoring results was performed using the Bland and Altman method. Results: There was no significant difference in OSA patients between BSA and PSG with regard to TST, total wake time, and sleep efficiency. There was also no significant difference in the controls between BSA and PSG with regard to TST, total wake time, and sleep efficiency. Bland Altman plots showed strong agreement between TST, wake time, and sleep efficiency for both OSA and the controls. The intraclass correlation coefficients revealed perfect agreement between BSA and PSG in different levels of OSA severity and both genders. Conclusion: The current data suggest that BSA is a reliable method for determining sleep in patients with OSA when compared against the gold standard test (PSG). BSA can be a useful tool in determining sleep in patients with OSA and can be combined with portable sleep studies to determine TST. The extraction of aspirated foreign bodies can prove challenging at times, requiring even rigid bronchoscopy. Cryotherapy probes have been reported to help with extraction of foreign bodies. We present a case where successful "cryoextraction" was performed on an aspirated chewing gum. The case highlights the fact that this technique is useful to extract all materials that have water content. This technique can be performed through flexible bronchoscopy and can save patients from more aggressive approaches. Sternal metastasis in thyroid cancer is an uncommon occurrence with only a handful of cases of chest wall resections being done. Sternal reconstruction for both primary and secondary tumors has been performed using various techniques and materials such as the mesh, methyl acrylate resin, and steel plates; however, this is a case of papillary thyroid cancer involving the sternum in a 50-year-old woman who had resection of the sternum with reconstruction using titanium bars and clips (STRATOS system) fixed to the clavicles with an underlying Proceed mesh. STRATOS system showed good recovery postoperatively. The functional results were excellent with the patient being able to perform all daily activities unassisted after 1 month and almost complete range of motion with acceptable limitations in power of the shoulder muscles after 2 months. We have reviewed all the English language publications of the subject by doing Medline search for the last 25 years and we present here the surgical management of this pathology with our novel approach by using the titanium steel bars to stabilize both medial aspects of the resected clavicles as a promising therapy for manubrial reconstruction and clavicular fixation.